Ahh. Tension reliever. Feel free to follow along. :) After much writing, and editing, and so so many obstacles, like dying laptops, I have finally finished The Last Second. It drove me crazy, but I finally got it finished. And to tell the truth, I got all teary eyed when I finally typed the words "The End" instead of "To Be Continued". So much so, that I am already contemplating how else I can come back to that story later on in life. I have so grown to love the characters. I will really miss them. Thank you so much for all of your love and support and emails!! I have so many more stories and characters to share, and I do hope you love them all! Second Glance is now 25% off! (only on lulu.com). Thank you so much for all of your support! I hope slashing the price will help encourage others to pick up the book and enjoy! What Doesn't Kill Us, Makes Us Stronger...Or Crazier...I'm never sure which. Ok, I must admit that I had writer's block for awhile there while writing Second Choice, and having a car accident 2 weeks ago, which involved me going for a 4 flip ride in my dad's truck didn't help..lol. But I just wanted everyone to know that I'm back on track now!! And the chapters are flying out of my mind and thru my fingers! I hope to have a publish date late March or early April. Keep me in your prayers..and I'll keep you in mine! Hey! I've entered a January sales contest on Lulu.com! To help me come in first, I've provided a sale code for 10% off your purchase (located on the "Buy The Books" page). So, if you have already purchased my books..you are amazing! Please help by passing the word around to your fellow book lovers! Thanks for any and all support! "The Key To My Success, Is That I Am Willing To Fail"
"Second Chance" is on sale now! Currently only available @ LuLu.com. I thank everyone for their continued support of my work. I do hope you enjoy how the story continues to unfold, and I look forward to hearing from everyone about what you liked and/or didn't like about it! 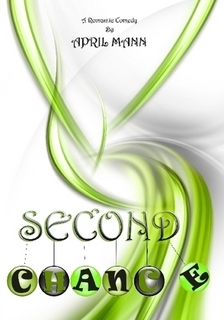 "Second Chance" on sale Dec 6th. Image coming soon.